Boston, MA (BUSINESS WIRE) — March 1, 2013. BlueSnap has been named as a finalist for a 2013 Innovator Award in the category of Best Comeback Story. One of five finalists in their category, BlueSnap is being recognized as a leader in the payments industry. Voting is open now through March 1 on PYMNTS.com with the winners being announced during a live ceremony hosted by The Office’s BJ Novak on March 21 from The Innovation Project, a two-day program that will challenge the way that the payments and broader commerce ecosystem thinks, develops, and ignites innovation. BlueSnap is being recognized for its Smart Subscriptions platform, allowing merchants to create, manage and optimize their recurring payments, pushing past the barriers of credit card only subscription reminders. “We are thrilled and honored to be a finalist at the PYMNTs Innovator Awards. BlueSnap has been a pioneer in the eCommerce space for over ten years and has recently revitalized our uncompromising entrepreneurial spirit and our history of technology innovation to reinvent ourselves. BlueSnap’s rich buying platform, with exclusive Smart Subscription technology allows merchants to run automated recurring billing for almost any payment type, not just credit cards. We’re giving our customers the opportunity to grow their businesses worldwide,” said Ralph Dangelmaier, CEO of BlueSnap. The Innovation Project 2013 delegates include senior executives and elite innovators from every aspect of the payments and broader commerce ecosystem, worldwide. The Innovation Project is hosted by PYMNTS.com, the leading source of news and content on “what’s next” in payments innovation, and is taking place on March 20-21 at Harvard University. One of its five modules includes pairing industry CEOs with external thought leaders such as Al Gore (former U.S. VP), Steve Levitt (Freakonomics), Eric Reis (The Lean Startup), Rosie Rios (U.S. Treasurer), Russell Simmons (Rush Card), Raj Date (CFPB), and Josh Lerner (Architecture of Innovation) to challenge the conventional wisdom around what it will take to get merchants and consumers to adopt new ways to shop and pay. Warren Buffett is the program’s keynote. For more information on BlueSnap and its Smart Subscriptions platform visit http://www.bluesnap.com/ecommerce/. To see the list of other finalists and to vote, click here, and to request an invitation to participate as a delegate please visit theinnovationproject2013.com. solutions anywhere onto their web sites supporting any merchant buying model. 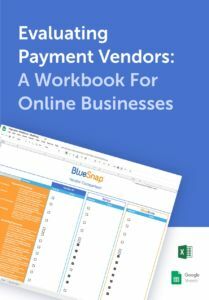 BlueSnap’s global network securely supports over 5,000 online businesses in 145 countries in multiple languages, currencies, payment methods and devices. For more information please go to www.bluesnap.com. Over 2 days, 100 speakers and 500 senior members of the payments industry will change the way that the payments and its broader commerce ecosystem thinks, talks, delivers and ignites innovation. On March 20th and 21st the greatest minds in commerce and payments will assemble at Harvard University near Boston to kick the conversation about innovation up to an entirely different level at a program called The Innovation Project. Speakers and delegates are among the most senior executives and elite innovators from literally every established payments company worldwide, along with the CEOs of the most innovative startups in the space. One of its five modules includes pairing industry CEOs with external thought leaders such as Al Gore (former U.S. VP), Steve Levitt (Freakonomics), Eric Reis (The Lean Startup), Rosie Rios (U.S. Treasurer), Russell Simmons (Rush Card), Raj Date (CFPB), and Josh Lerner (The Architecture of Innovation) to challenge the conventional wisdom around what it will take to get merchants and consumers to adopt new ways to shop and pay. Warren Buffett is the program’s keynote. The Innovation Project also hosts the industry’s 2013 PYMNTS.com Innovator Awards, given to 15 of the industry’s top innovators over dinner, which this year will be emceed by B.J. Novak of The Office and will introduce delegates to 40 of the hottest “next generation” payments innovators. PYMNTS.com is reinventing the way in which companies in payments share relevant information about the initiatives that shape the future of commerce and make news. This powerful B2B platform is the #1 site for the payments industry by traffic and the premier source of information about “what’s next” in payments. C-suite and VP level executives read it daily for these insights, making the PYMNTS.com audience the most valuable in the industry. It provides an interactive platform for companies to demonstrate thought It provides an interactive platform for companies to demonstrate thought leadership, popularize products and, most importantly, capture the mindshare of global decision-makers. It’s where the best minds and best content meet on the web.